Many popular snacks regularly eaten by our children are far from nutritious and simply unhealthy. Nutritionist suggests healthier alternatives. Read more. We eat snacks at work, school and at home. We nibble on them while watching movies and at get-togethers and parties. We eat them in our backyards and on long family road trips. We just seem to eat them all the time. A problem, however, does arise when the snacks we choose are often unhealthy. There is little wrong with a few unhealthy indulgences here and there. We all do it. It’s understandable. We can all give in to temptation. And as a nutritionist I don’t expect people to be perfect. But as adults we should strive to consciously make healthier snack choices, if not for our sake, then for the sake of our children. Kids do not buy their own snacks, the parents do. For this reason it is the parents’ responsibility to encourage the selection of healthy snacks and model healthy eating habits. Sometimes this means resisting your insistent children when they request you buy them a snack that you know well isn’t good for their health. It’s difficult, but it has to be done. Of course there are parents who routinely send healthy snacks with their kids to school and kudos to them. But we need to ensure that doing so is a common occurrence in all households. It has to become the norm rather than the exception. Let’s take a look at some of the commonly purchased unhealthy snacks first. Lunchables is a convenient snack because it can be easily packed into your child’s lunch bag. On the surface it also appears that you’re covering the different food groups by feeding these to your kids. Unfortunately, this wonderful convenience comes at the expense of nutrition. Despite the fact that the contents of your average Lunchables contain protein, a little bit of Vitamin C, calcium and iron, they are highly processed, non-nutrient dense and generally low quality. They are brimming with sodium, artificial flavours and preservatives. Even cornstarch, sugar and hydrogenated oil find their way into this excessively processed concoction. For these reasons they should not be given to your kids as a snack, or anyone else for that matter. This one is obvious. Soda is loaded with sugar and often caffeine, and has no nutritional value. Aspartame—the artificial sweetener linked to a great deal of controversy—in diet soda should make you think twice about giving it to your children as a snack. I would always encourage eliminating any substance from the diet that receives so much negative attention, no matter how inconclusive the data. It’s best to err on the side of caution, especially when we’re dealing with the health of children. No matter how much the kids beg you to bring soda to school, don’t give in. Allow your kids to drink soda once in a while, as a treat. Or better yet, teach them to choose alternatives that can be found just about anywhere nowadays. Related: The Complicated Truth About Aspartame, Globe and Mail. Many parents who refrain from sending soda to school with their kids, freely pack juice boxes in the lunch bags, assuming that juice is healthy. That’s largely due to the fact that many juice boxes contain Vitamin C, and in some cases, Vitamin A. But if you take a moment and look at the nutrition label on the back, there is not much else in the way of nutrition. Once you scroll down the label, you will quickly discover that sugar is often lurking in staggering amounts. As a parent, it’s important to be able to distinguish between naturally-occurring sugars and added sugars. Look at the ingredients list to see if sugar appears. If it doesn’t, then chances are sugar has not been added. 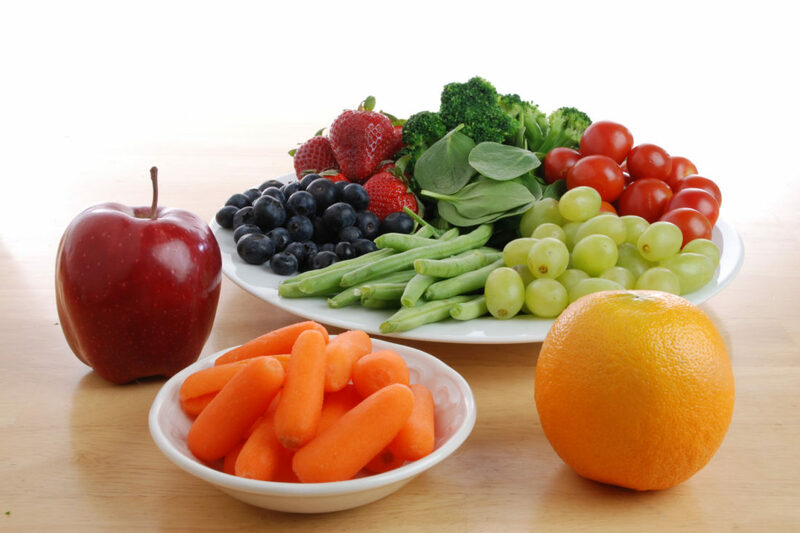 You will also notice that fibre is lacking in most juice boxes, but it is frequently found in fruit itself. Fibre is needed for proper digestion and should be consumed regularly. For this reason fruit in its natural form is always the healthier option. One last caveat: there is a difference between juice boxes and drink boxes. The former tend to contain juice (usually the healthier option) while the latter is a drink (the less healthy alternative). It is imperative that we check all the mentioned information before making the purchase. Pop tarts are consumed at home and not so much school, but they should be avoided nonetheless. They are naturally high in sugar, and contain corn syrup, artificial flavours, hydrogenated oil and preservatives—ingredients that should never find their way into a healthy diet. This one’s definitely not all bad. There is some nutritional value in chocolate milk. Potassium, calcium, Vitamin D and protein—essential components of a healthy diet—are all present in considerable amounts. But these benefits are marred by the high sugar content, the cumulative effect of which contributes greatly to the obesity epidemic plaguing this generation of children. Another downside to the consumption of dairy products such as chocolate milk is that they can be difficult to digest for some. Many people experience digestive distress in varying degrees upon the ingestion of lactose. And last, some dairy may carry traces of antibiotics and hormones, which can have a negative long-term impact on the health of our bodies, if consumed regularly. Consume in moderation, or better yet, rarely. Healthier alternatives exist. As soon as the word ‘yogurt’ is thrown in, many people believe that it must be good and healthy for them. Unfortunately, that’s seldom the case. Look at the nutrition label of your average yogurt tube: low in vitamins, very low in protein and moderate to high sugar. So why even bother eating them? For years kids and many adults in North America have been sold the idea that cereal is an integral part of their diet and forms a complete breakfast. Well, it isn’t and it doesn’t. The sooner we come to terms with that, the better. It’s an old familiar tale. While offering some nutritional value, many of today’s cereals contain too much sugar, whose dangers far outweigh the benefits of the vitamins and minerals that are found in them. Because sugar-laden cereal is regularly consumed by many children, it certainly contributes to weight gain. You’ll have to do some analysis here and find cereals which are lower in sugar. In addition, many cereals do not contain enough fibre to assist digestion, and some contain artificial flavours, food colouring and preservatives, and as such, should be avoided. With that said, healthier cereal options exist but they are not designed to appeal to kids. Generally speaking, you won’t find cartoon-like characters or superheroes glaring at your kids from the healthy cereal box on the grocery store shelf. As a parent, you’ll have to turn to the bland packaging to find the healthier alternatives. Even here I strongly encourage analyzing the labels with due diligence to determine how healthy the cereal is. It would be a good idea to teach your children to do the same. All of these sweets are highly-caloric, teeming with sugar and possess no nutritional value. Avoid sending these snacks with your kids to school or anywhere else at all costs. Foods like these may be given on the rare occasion as a treat, and the operative word here being rare. It’s always best to avoid teaching your kids to turn to such foods as snacks though. Children need to learn healthy eating habits early on, so they can take them into adulthood, growing up to be strong and healthy adults. The abundance of such unhealthy foods in grocery stores, restaurants, malls, convenience stores and homes contribute greatly to weight gain sweeping much of the western world in recent years. Parents have a difficult job in teaching their children to resist these temptations in favour of healthier options. But teach they must. Whether it is a couple of slices of cheese-laden pizza or a combo from McDonald’s, some of us tend to eat these foods ourselves and therefore have no qualms about sending them to school with our kids. I know that we all cave in and indulge in a little fast food here and there, especially when it seems like there is not enough time to prepare a meal in our busy day. But sending this sort of food with your kids to school has to be a rare occurrence and not a habit. Feed these snacks to your kids sparingly, period. Snacks and lunches such as these are nutritionally incomplete as they lack essential nutrients your children need for their health. They are also highly caloric, processed, high in sodium and saturated fats. Most comprise carbohydrates with some protein and a negligent amount of greens and vegetables, if any. These proportions are incorrect. The vegetables should make up at least half of the meal, while the carbohydrates portion should be significantly reduced. This is precisely the reason why you need to be making your children’s meals much of the time: to ensure the proportions of the consumed foods are correct and do not leave your children with too many empty calories and devoid of important nutrients. Not to worry. I’ve prepared a short list of some simple, healthy snacks that your children can enjoy while you rest assured that they are taking in the right nutrients. 1. Vegetables: Carrots, broccoli, celery, cauliflower, etc. Simple to make and easy to pack in a lunch. Perfect for picking at, too. Add hummus to improve flavour, or sprinkle with olive oil or some healthy seasoning, to add some bite. 2. Fruit: Raspberries, blueberries, bananas, apples, watermelon and many others. Slice, dice and toss in a small container. You can always add cinnamon for flavour, if fruit alone doesn’t cut it. 3. Salad: Lettuce, kale, spinach, arugula, add carrots, cucumber and tomatoes, a little olive oil and balsamic vinegar. You can buy these salads prepackaged and even pre-washed. It couldn’t be simpler. Nowadays healthier salad dressings exist and can be purchased to change things up on occasion. What’s more, salads can be easily packed in your children’s lunches and sent to school. 4. Sandwich: Try lean, nitrate-free meats (roasted turkey, chicken), add goat cheese or avocado, a slice of tomato, dijon mustard and voila. When choosing bread, avoid white, refined, nutrient-stripped breads, opting for darker, whole grain, nutrient-rich breads instead. 5. Almond butter and dates: Since taking nuts and nut products to school is largely prohibited nowadays, try snacking on dates with a little almond butter at home, if you’re craving something sweet. Almond butter makes a delicious spread on apple slices, too. Don’t overlook it. 6. Trail mix: As long as the ingredients in it are healthy, this is a convenient and nutritious snack. Check the nutrition label to ensure that the trial mix does not contain a high amount of sodium or ingredients you have trouble pronouncing. If the package in question does, give it a pass. 7. Crackers: Crunch into crackers with a spread of goat cheese, hummus, mashed avocado or healthy dip as an easy and much more nutritious alternative to greasy potato chips. You can also substitute the crackers with cucumber slices for an ultra-healthy snack. This is just a short list of healthy snack options for your children. Many more alternatives exist. It takes a little time to become accustomed to the routine of making these snacks, but make it a routine and your children will reap the benefits. Whether it’s after school, in the evening, or in the morning, prep time only takes minutes. Get the kids involved in helping you as well. Remember that children learn their eating habits primarily from their parents, so you need to lead by example. If you do, your kids will thank you when they are all grown up.